Oats ,which is considered as a healthy cereal,helps to reduce cholesterol and is a apt cereal for weight watchers.The content of beta glucan,unique soluble fibre,make this oats a healthiest cereal grain.I got this recipe on the pack of a branded oats pack and tried it yesterday which turned out super tasty and healthy. 1.Slightly roast the oats in dry pan for few seconds in low flame,don't burn it.Cool a bit.First powder it. 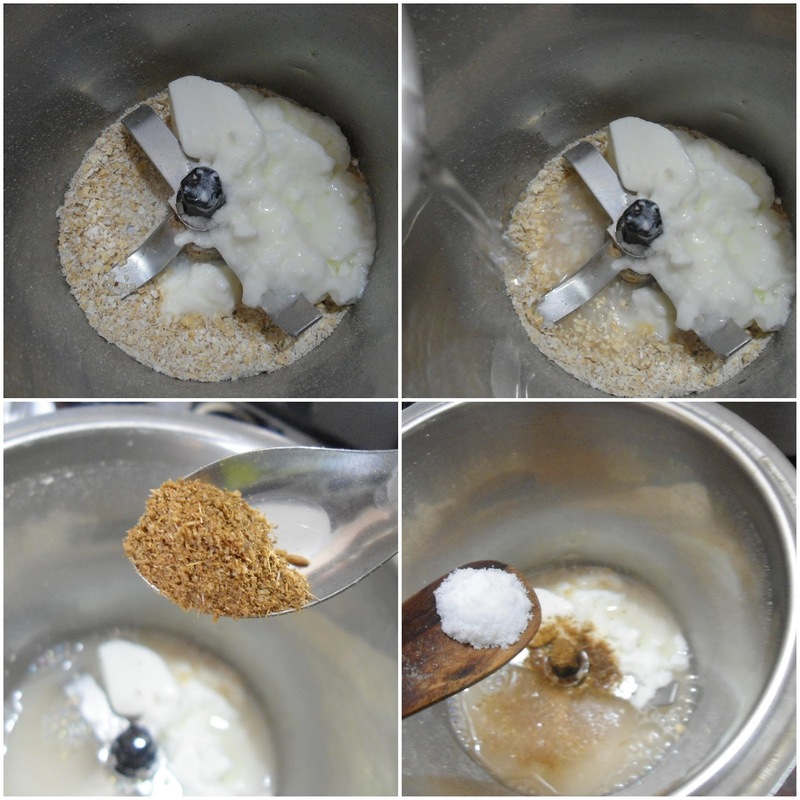 2.Then add water,curd,jeera powder & salt and blend it well. 3.Dilute as per your need. 4.Pour in to serving glass top with some jeera powder & coriander leaves. You can also use few mint leaves while blending.